Despite the attempts of the Armenian government to save the country’s economy from the chaos, which in fact are just simulation of work, everything is getting worse. It is no surprise that the economic activity index in Armenia made up just 0.6 percent for 11 months of the current year. Moreover, the country’s National Statistic Service’s data shows that this indicator dropped by 5 percent in November as compared to October. 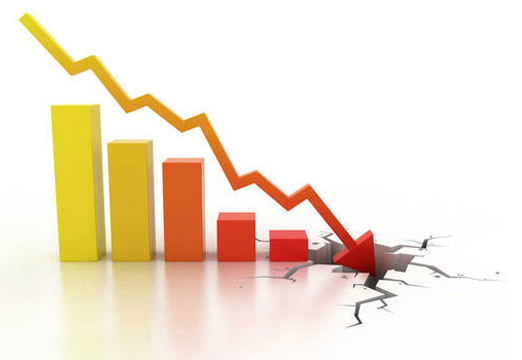 The decrease touched a number of sectors of the Armenian economy. Thus, in January-November the gross agricultural product declined by 6.1 percent, the volume of construction dropped by 10.9 percent, while electricity production – by 6.4. Some improvement was observed in industrial production (6.8 percent) and trade turnover (8 percent). However, this is not enough to revive the whole economy of Armenia. The country’s economic activity has been decreasing since July, although the Armenian officials expected growth in their statements earlier made in the year. In the first quarter the economic activity was 8.7 percent, but in the first half of the year this figure dropped to 4.4 percent, and in January-October – down to just 0,4 percent. As a result, Armenia ends the year with almost no growth, while the budget expects at least a 2.2 percent increase. All these economic problems cannot but affect the ordinary Armenians. No wonder a quarter of those born in Armenia moved abroad in search of a better life. The data was provided in the recent research by Pew Research Center. The study, which used the data of the United Nations for 2015, revealed that nine countries have lost a fifth or more of their population and Armenia is one of them. According to the National Statistical Service of Armenia, the permanent population of the country made up 2,993,900 people on October 1, 2016. Meanwhile, this figure was 2,998,600 people in early 2016. Thus, for just ten months of this year Armenia again lost considerable part of its people – almost 5,000 people. Taking into account the huge economic problems, Armenians will not rush back to the Motherland in the years to come.